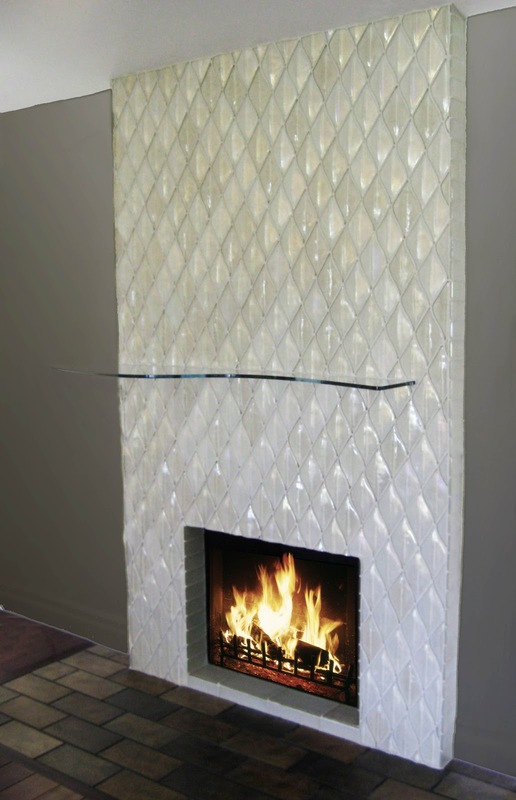 This cool, contemporary glass tile fireplace features a custom fabricated cantilevered glass mantle. 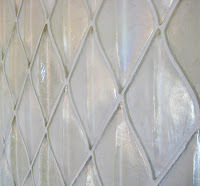 The pillowed design of these decorative glass tiles lends an overall softness to the installation. 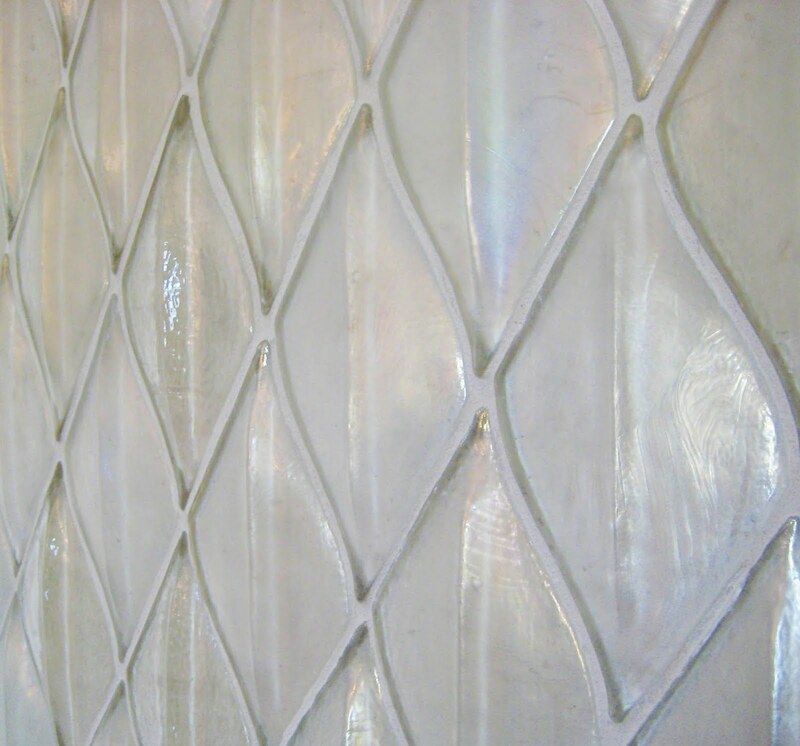 Paired with the iridescent finish, the result is a beautiful showpiece that reflects light in all directions. I really enjoyed the challenge of this installation once I dialed my layout in to the geometry of these irregular rhomboids. Because I normally work in squares, this was a nice change, and I learned from the experience. The finished piece makes such an impact and the client was so pleased with the result! Soul Sanctuary of the Desert project. Sleek and Modern Glass Mosaic Spa Installation. How to make a glass mosaic medallion.